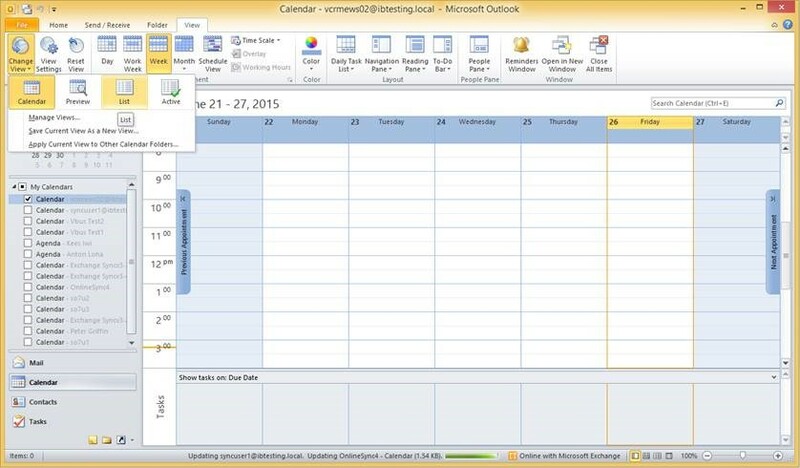 Calendar cleanup for users that use SuperOffice as primary calendar system. Don’t follow these steps if you primary use Outlook for your appointments or if you have a lot of Outlook Meetings (with invited participants). 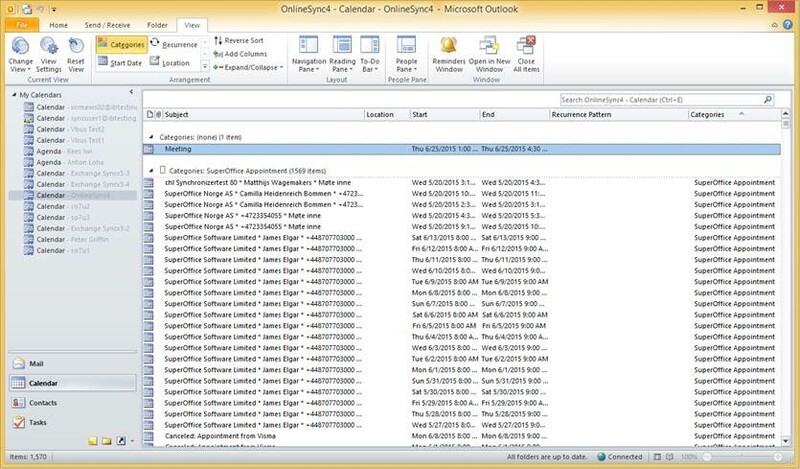 Delete all appointments withinin the date range of the Synchronizer (default 7 days in the past and 120 in the future - See follow up Filter settings in Sync admin) which have a category SuperOffice Appointment. 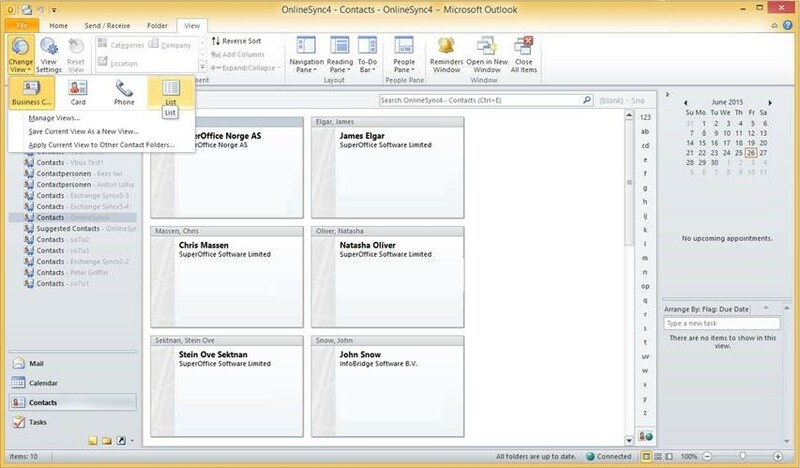 Cleaning up contacts is easier, as contacts are synchronized only from SuperOffice to Outlook and not the other way around (One Way synchronization).